Tareque Masud (6 December 1956 – 13 August 2011) was a Bangladeshi independent film director, film producer, screenwriter and lyricist. He first found success with the films Muktir Gaan (1995) and Matir Moina (2002), for which he won three international awards, including the International Critics' FIPRESCI Prize, in the Directors' Fortnight section outside competition at the 2002 Cannes Film Festival. The film became Bangladesh's first film to compete for the Academy Award for Best Foreign Language Film. He died in a road accident on 13 August 2011 while returning to Dhaka from Manikganj on the Dhaka-Aricha highway after visiting a filming location. The cinematographer Mishuk Munier, his long-time director of photography, was also killed in the accident. Masud was working on Kagojer Phool (The Paper Flower). In 2012, he received Ekushey Padak, the highest civilian award of Bangladesh posthumously. In 2013, New York University Asian/Pacific/American Institute, and South Asia Solidarity Initiative, hosted the first North American retrospective of his films. Masud was born in Nurpur village, Bhanga Upazila, Faridpur District, East Pakistan in 1956. Masud grew up in Nurpur village. He had started his education in an Islamic madrasah. He studied in the madrassa system for eight years, till the upheaval brought about by the 9-month Liberation War interrupted his education. However, later Masud swap to general education. After the war, he entered general education, completing his HSC from Notre Dame College and completed his Masters degree in History from the University of Dhaka. Tareque was involved in the film society movement from his university days and started his first film Adam Surat (The Inner Strength), a documentary on the Bangladeshi painter SM Sultan, in 1982. His 1995 feature length documentary on the 1971 Liberation War, Muktir Gaan (Song of Freedom) brought record audiences and became a cult classic. He also made many other films on the war, including Muktir Kotha (Words of Freedom, 1999), Narir Kotha (Women and War, 2000) and Naroshundor (The Barbershop, 2009). In 2002, he completed his feature film Matir Moina (The Clay Bird), which was based on his childhood experience in the madrassa. In addition to his filmmaking work, he was also a pioneer of the independent film movement in Bangladesh. In 1986, Tareque was started Bangladesh Short Film Forum, as a founding member, the leading platform for independent filmmakers. In 1988, he organized the country's first International Short and Documentary Film Festival, which is held on a biannual basis to this day. He was also known as the "Cinema Feriwalla" for the way in which he showed his films, touring remote towns and villages throughout the country with his mobile projection unit. His wife, American-born Catherine Masud, was his creative and life partner. They met at the time he was completing work on Adam Surat and spent the next two decades making films together through their production house Audiovision. Together they wrote scripts, often co-directed, and toured the country and the world with their films. Catherine also edited all of their work. Tareque died on 13 August 2011 in a tragic road accident while returning from work on location for his upcoming feature film Kagojer Phool (The Paper Flower), on the 1947 partition of Bengal. Also killed in the accident was his longtime cinematographer and friend Mishuk Munier, along with three other colleagues. Catherine Masud and four others survived the accident. Since his death, Catherine has established the Tareque Masud Memorial Trust, which is dedicated to the task of archiving and memorializing Masud's work through publications, educational projects, screening programs, and the completion of their unfinished oeuvre. His first film was the documentary Adam Surat (Inner Strength) on the Bangladeshi painter SM Sultan which he completed in 1989. His most famous film in early age of his career was the documentary Muktir Gaan (The Song of Freedom, 1995) where camera follows a music troupe during the Liberation War of Bangladesh in 1971. The members of the troupe sing songs to inspire freedom fighters. Along with his US-born wife, Catherine Masud, who was his co-director and a film editor, Masud ran a film production house based in Dhaka named Audiovision. His first full-length feature film, Matir Moina ("The Clay Bird", 2002) which debuted at the Cannes Film Festival, derives inspiration from his own childhood experiences. He won the International Critic's Award at the Cannes Film Festival in 2002 for this film, as well as the FIPRESCI Prize for Directors' Fortnight for "its authentic, moving and delicate portrayal of a country struggling for its democratic rights." Matir Moina was received with critical praise and toured the international circuit. It was one of the first Bangladeshi films to be widely circulated and was greeted with enthusiasm for its realistic depiction of life without the melodrama that is prevalent in many other South Asian films. His film, Ontarjatra ("Homeland", 2006), featured two generations of Bangladeshi diaspora in London and their return to Bangladesh. His next feature film, Runway (2010) was about the influence of radical religious teachings on a young boy, caught between many modernistic. Masud's last unfinished project was Kagojer Phool ("The Paper Flower"), about the partition of the Indian subcontinent. This film has become a prequel to Matir Moina ("The Clay Bird", 2002). This historic film, completed in 1995 by film making duo Tareque and Catherine tells the true story of a troupe of singers traveling through the refugee camps and zones of war during the Bangladesh Liberation War in 1971. The film blends documentary and fictional genres in a musical structure to tell the story of the birth of a nation and the ideals of secularism and tolerance on which it was founded. The filmmakers combined footage of the cultural troupe and their activities, shot by American filmmaker Lear Levin in 1971, with historic footage collected and purchased additional footage from various international archives to craft the documentary film 'Muktir Gaan' (Song of Freedom). In 1990, filmmakers Tareque and Catherine tracked down Levin and, using his 20-hours of historic material. During the War of Independence from West Pakistan (now Pakistan) in 1971, a group of patriotic cultural activists joined together in a common cause. They came from various backgrounds as writers, painters, singers, and stage actors. Together they traveled through the refugee and battle zones, performing songs and puppet plays that expressed the deep emotions of Bengalis toward their land and culture. For the millions of refugees in India and the freedom fighters on the war-front, these popular songs and plays were and endless source of inspiration. The daily encounters and experiences of the cultural troupe, known as the Bangladesh Mukti Shangrami Shilpi Shangstha (Bangladesh Freedom Struggle Cultural Squad), were captured on celluloid by Lear Levin and his crew. The traveling troupe became the vehicle through which the wartime struggle could be seen. "Muktir Gaan", completed 24 years later, invaluable footage lay in storage in the basement of filmmaker Lear Levin's house in New York. The film was adopted with some Cultural Squad Members, Mahmudur Rahman Babu, Shaheen Samad, Tariq Ali, Naila Khan, Lubna Marium, Sharmin Murshid, Swapan Chawdhury, Bipul Bhattacharya, Dulal Chanda Shil, Debabrata Chowdhury & Others. The film is set against the backdrop of unrest in East Pakistan in the late 1960s leading up to the Bangladesh War of Liberation. In this setting, a small family must come to grips with its culture, its faith, and the brutal political changes entering its small-town world. Anu, a young boy, is sent off to a madrasah by his unbendingly devout father Kazi. Anu's younger sister falls ill and dies because of Kazi's refusal to use conventional medicine. While at the madrasah, Anu befriends Rokon, an eccentric misfit in the rigorous religious school, who is forced by the teachers to undergo an exorcism by ducking in the freezing river to cure himself. Personal tragedies beset the family and tests its loyalty to the obdurate patriarch Kazi, who still believes in the religious unity of Pakistan, in the face of cruel, contradictory events. A shattering political development then changes their town, their life, and the inner dynamics of the family, including the patriarch's role. Ontorjatra is a Bengali intimate exploration of the complex issues of dislocation and identity in a diasporic world. After 15 years in the UK, Shireen and her son Sohel return to their home in Sylhet, Bangladesh for the funeral of Sohel's father. For Shireen the homecoming allows her to make peace with her ex-husband and his family, for Sohel, the journey allows him to connect with a family and a "homeland" he has never known. Masud died in a road accident near Ghior Upazila on 13 August 2011 while returning to Dhaka from Manikganj on the Dhaka-Aricha highway after visiting a shooting location. His microbus collided head-on with an oncoming passenger bus. He along with the other passengers were traveling to choose shooting locations for his new film Kagojer Phool (The Paper Flower), filming of which was supposed to begin after shooting locations were elected. Masud was traveling with long-time co-worker Mishuk Munier, a well-known cinematographer, TV journalist and CEO of ATN News. Munier also died in the accident. The coffins of Masud and Munier were laid out in front of the Central Shaheed Minar in Dhaka on Sunday 14 August, when thousands of Bangladeshis came to pay their last respects. Munier was also the son of the martyred Bengali intellectual Munier Chowdhury who was killed by collaborators during the liberation war of 1971. 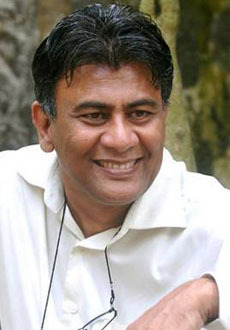 Masud was received many international and national awards for his notable works. He received Best Film Award from Bengal Film Journalists' Association Awards in 1996 and a Special Jury Prize from Festival of South Asian Documentaries in 1997 and a National Award for Documentary film Muktir Gaan. He received an International Critics' FIPRESCI Prize, in the Directors' Fortnight section outside competition at the 2002 Cannes Film Festival. Best Screenplay Award from International Film Festival of Marrakech in 2002. Best Film Award from Bengal Film Journalists' Association Awards, Kara Film Festival and Channel I Film Awards in 2003 from the film Matir Moina (2002). After Masud received Jury Prize from International Video Festival of India in 2003, Best Direction award from International Film Festival Bangladesh in 2006, Special Jury Award, Osian's Cinefan Festival Delhi in 2006, Meril Prothom Alo Awards in 2010 etc. In 2012, he received Ekushey Padak, the highest civilian award of Bangladesh posthumously. In 2013, New York University Asian/Pacific/American Institute, and South Asia Solidarity Initiative, hosted the first North American retrospective of his films.